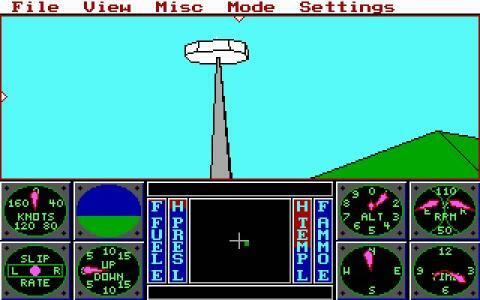 Despite its rather unimaginative title, this early flying sim from Sierra, better known for their graphic adventures, is actually a pretty neat little game. 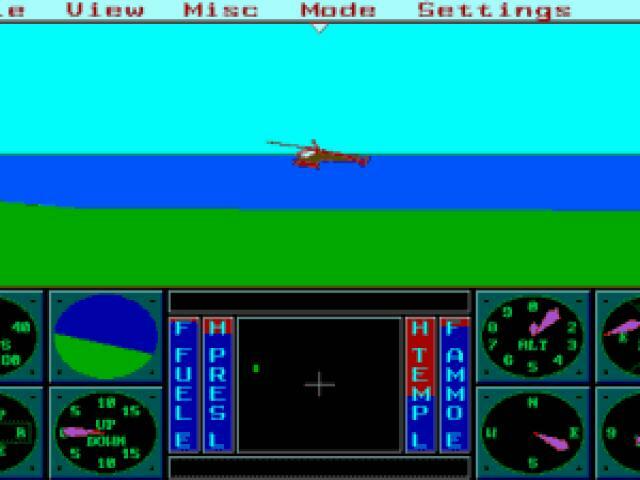 Although undeniably dated and lacking in the excessive detail that flying fans require, it is worth a brief investigation for chopper fiends. 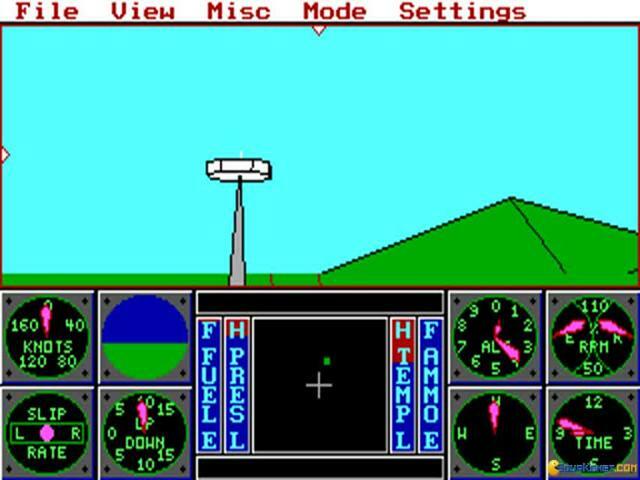 The game rather ambitiously offers a variety of flying modes, including target practice and combat, and was innovative for its day in that it was the first such game to offer two-player fun via a modem. 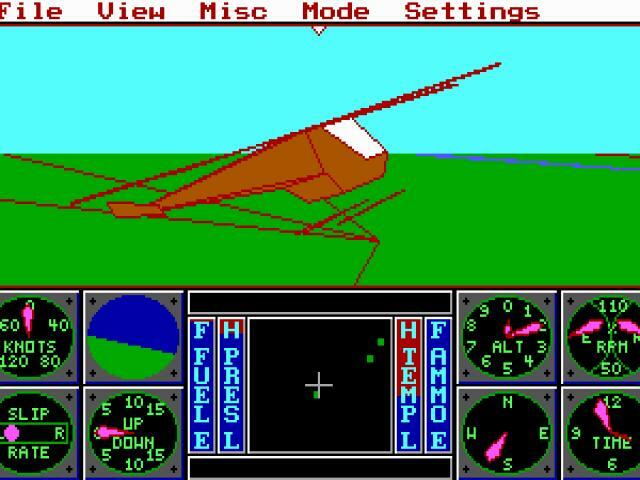 The helicopter on display here is the Apache and the game boldly claims to take players from Los Angeles airport to the skies of Paris, while offering the chance to engage in combat over Manhattan. 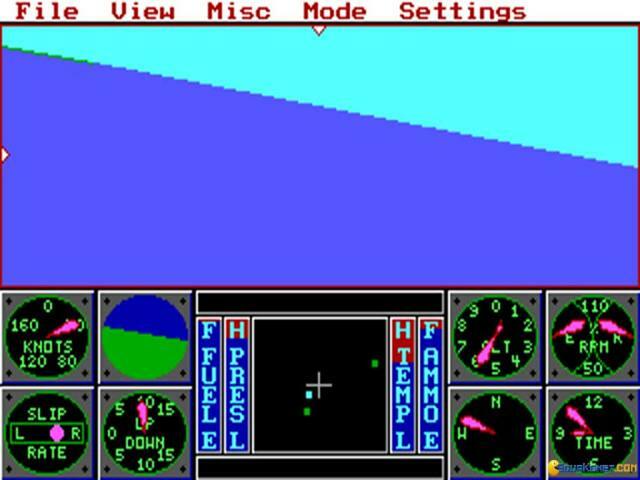 Of course, given the technical limitations of the day, it's rather hard to determine where the action is taking place, with graphics that are now crude and ugly. 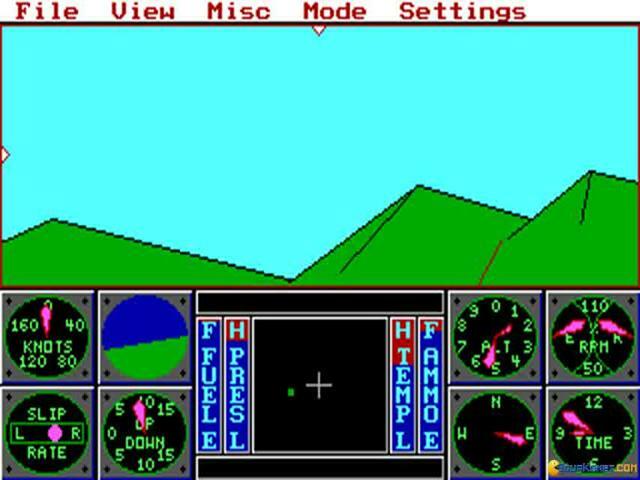 However, the Apache itself handles nicely and features the same gear as the real deal, making the game surprisingly authentic and challenging. 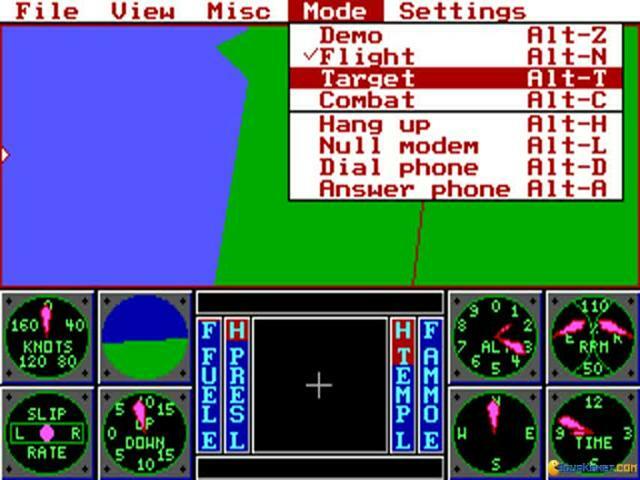 The different modes add some appeal to things, with combat proving quite fun, although it does switch to a side-on view for some reason, and overall this is a neat little experience for undemanding sim fans. 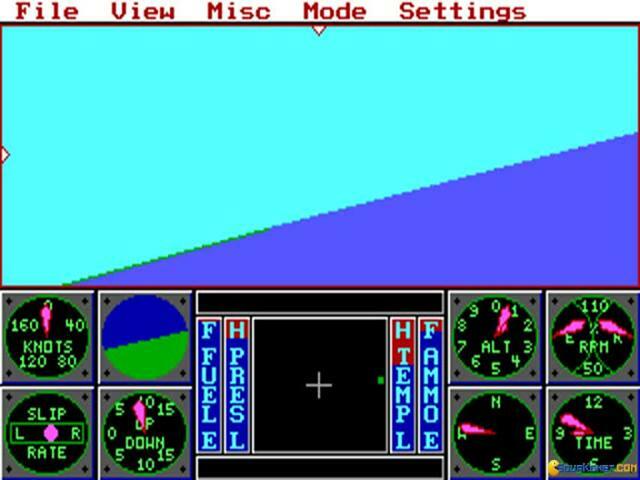 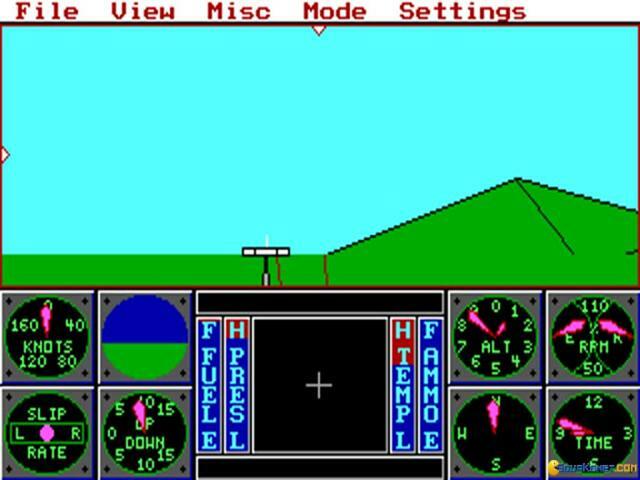 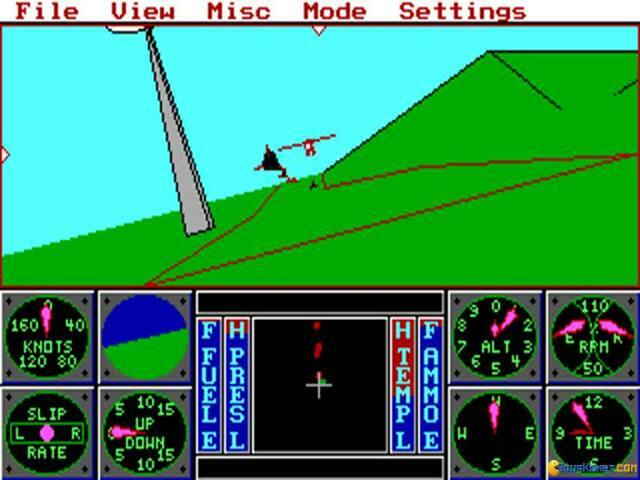 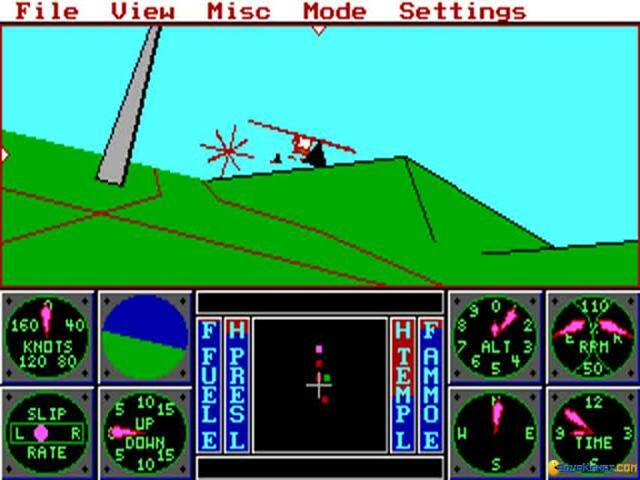 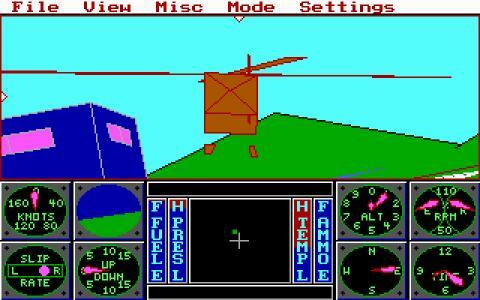 This helicopter sim, given when it was released, 1987, is an absolute winner of tech breaking. 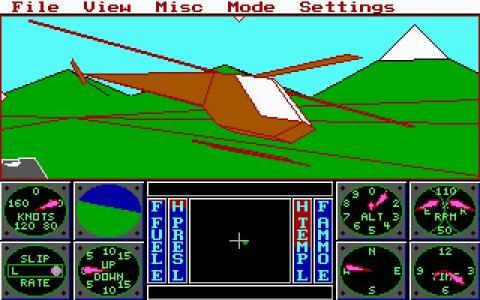 I mean, this game sported a real 3D world, with true elevations, some polygons but some sprites as well. 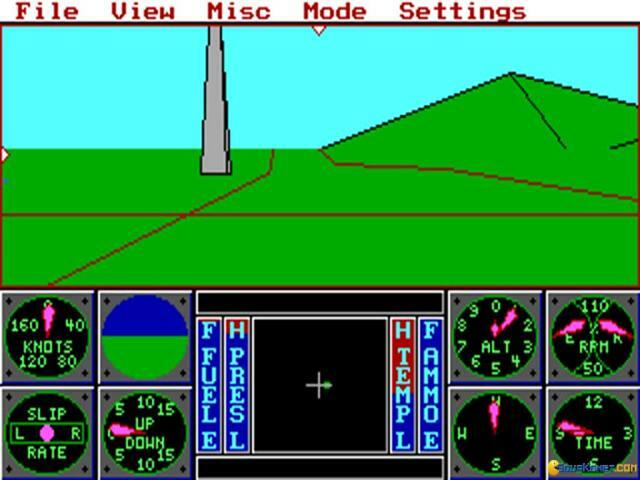 However, for someone used to a true 3D bonanza, not even from the HD era, this will feel more like a relic, some absurd product of a bygone era, rather than a game you'd like to actually play. 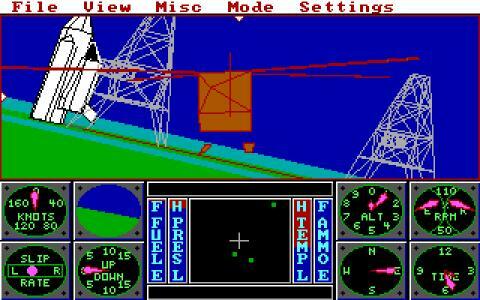 But, if you are in for a tour of the past Sims, Helicopter Simulator is sure worth a while. 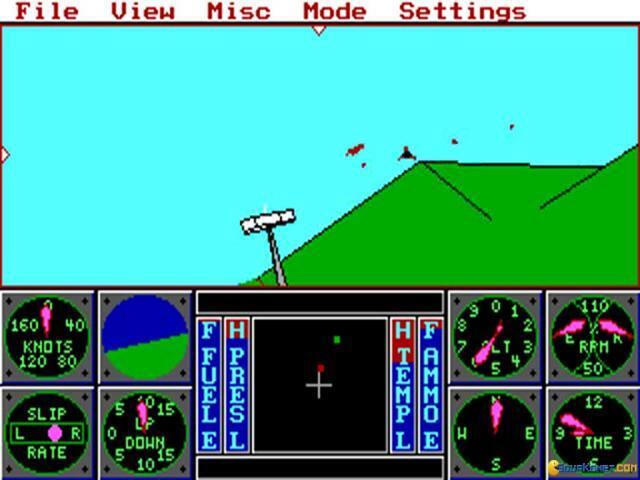 It tried and almost managed to get an idea of a physics engine right, it almost produced a game that had a feel of physicality for that which it depicted. 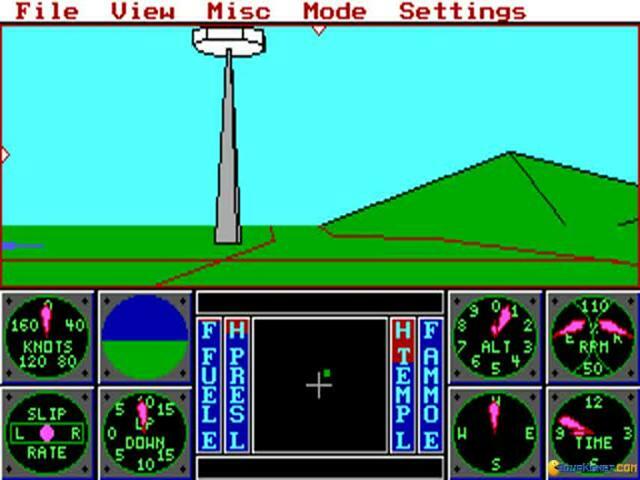 So, no matter how you look at it, you are not going to find it to be an appealing game, some kind of product to actually be worth the time investment. 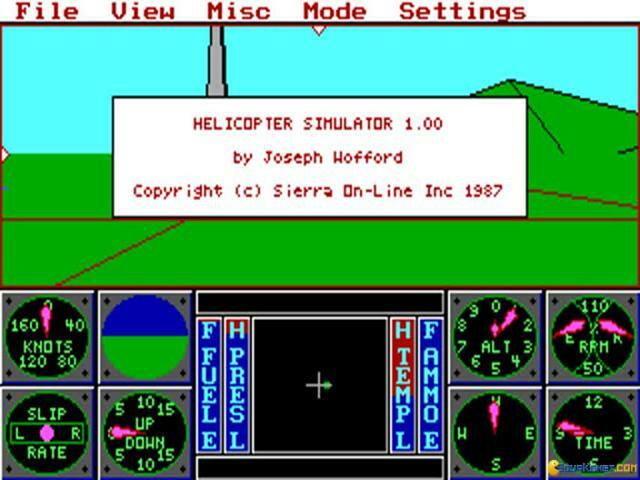 Anyway, for a walk in your memory land or in the gaming past of the 80s sims, Helicopter Simulator is a good contender, for a short while, while considering that this gem ran on a 286 processor, with no graphical card needed; that is its accomplishment, a purely technical, one, one that talks about the programmers ambition more than anything else!